Why do you need to spends couples of hours everyday for pushing trophies when you can do that by just defending? What do you think If you can push to Master after just 1 night or even to Titan within 10 days and without doing anything? Let’s take a look! There are 4 hidden wall gaps after the Archer Towers. This is a sweet trick that can hoax most attackers. More details at here. This base works perfectly from Bronze league to Titan league. Definitely this is the best base that I have ever built. Highest protection for Town Hall with numerous defenses and traps. Heroes and unlureable Clan troops will be triggered once the enemy troops pass over the floating walls. 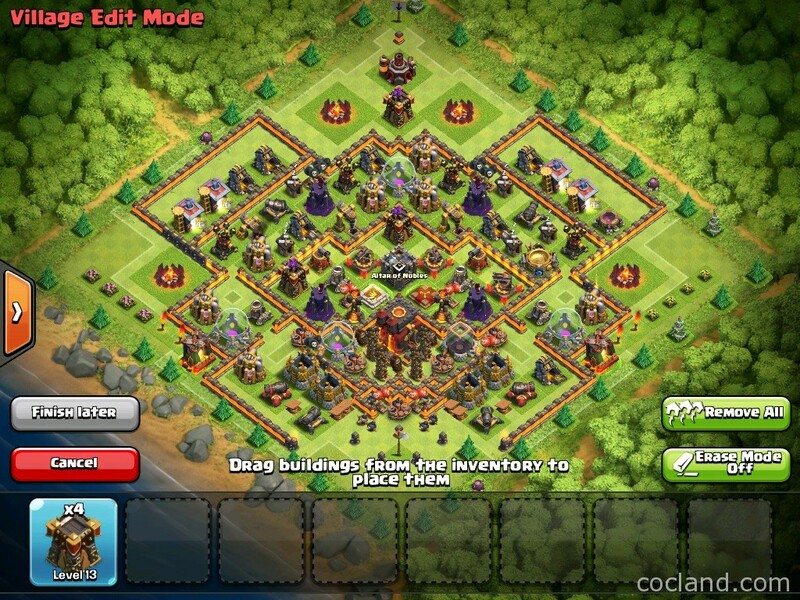 Dual Single Target Infernos + surrounding defenses protecting the Town Hall. Can be used in Clan Wars as a anti-2-star base. 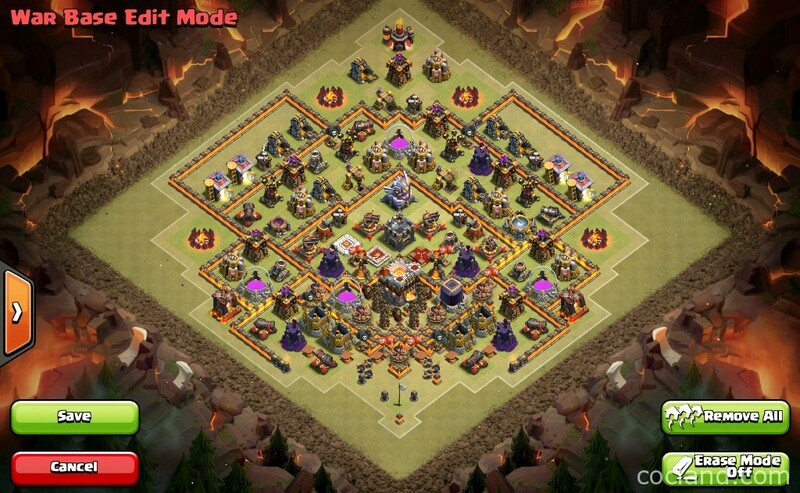 The easiest way to defeat this base is attacking from the North but that’s still extremely difficult to get 2 stars. 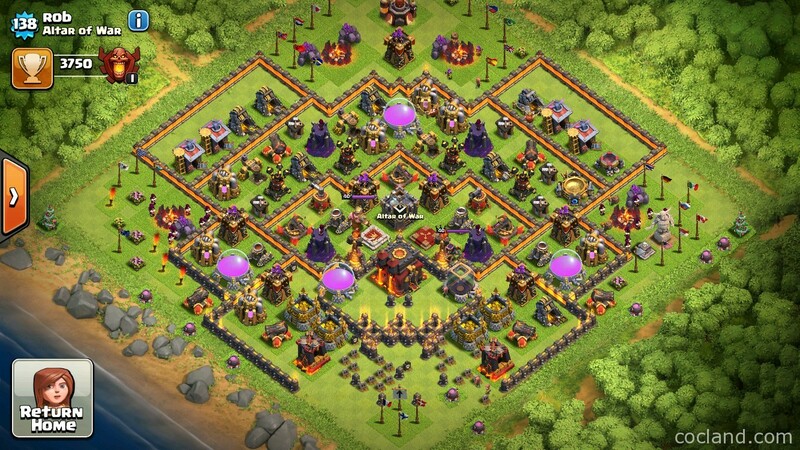 This base hasn’t been 2 starred from the North yet. All X-Bows are set to Ground but this doesn’t mean the base is weak against air attacks with 2 tricky Air Sweeper placements. Titanium wins 75% of the time If it gets attacked from the South. Although the strongest side is the North but I’ve been won lots of defenses at Titan leagues against attackers attacking from the West and East. 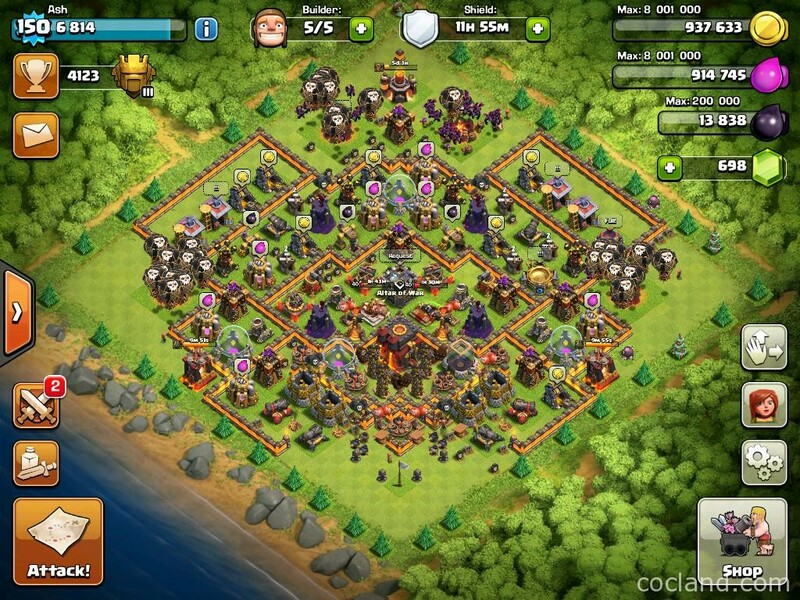 This base works perfectly against Mass Golem Attacks (the most popular strategy at Champion I and above). For the best performance, I recommend using this layout with all Heroes and 1 Lava Hound + 5 Archers in the Clan Castle. Pushing to Titan is not hard at all!